Haymaker Records is pleased to be a part of the very first episode of a new podcast called Musonomics through New York University’s Steinhardt Music Business Program. This episode delves into the current state of physical music retail in a conversation with James Donio of the Music Business Association as well as the future of the industry with Russ Crupnick of MusicWatch. It also looks at Record Store Day, how it started and what it means to the vinyl industry from co-founder Michael Kurtz. 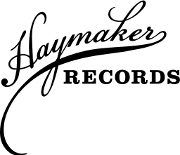 The Record Store Day portion features interviews with Haymaker Records’ owner Brenton Cook and Monta at Odds frontman Dedric Moore. The band’s new album, Robots of Munich, came out on Record Store Day Black Friday, November 2014.